Paul George and PlayStation go way back. The OKC Thunder small forward — an avid gamer — has always called upon the system an alternate way of channeling his competitiveness, even playing in a Fortnite Pro-Am event. 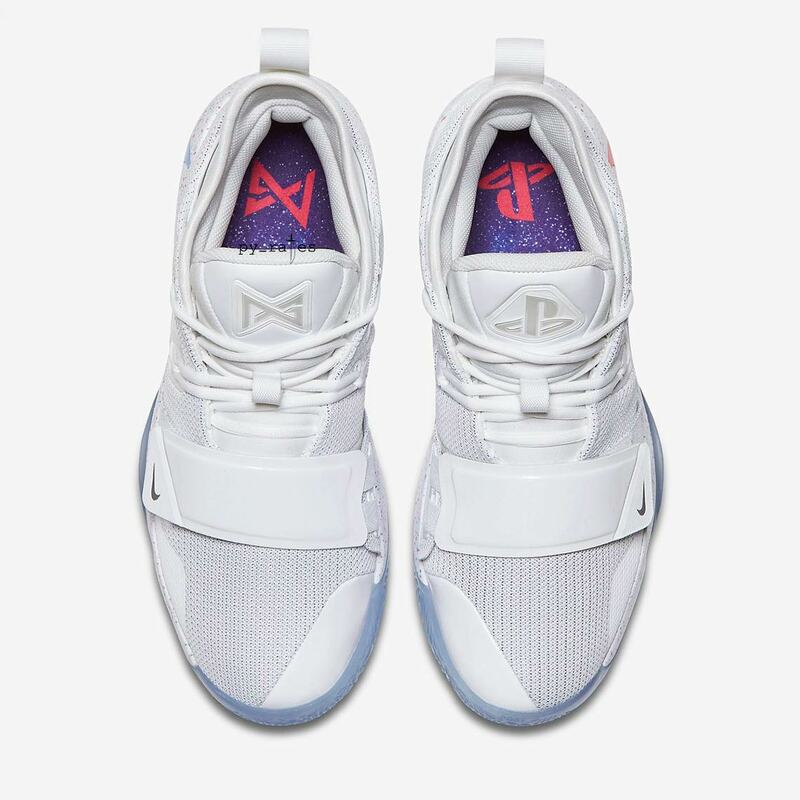 That love of the digital world has also been conveyed to his footwear, as a special Nike PG2 with PlayStation-style detailing released back in February. 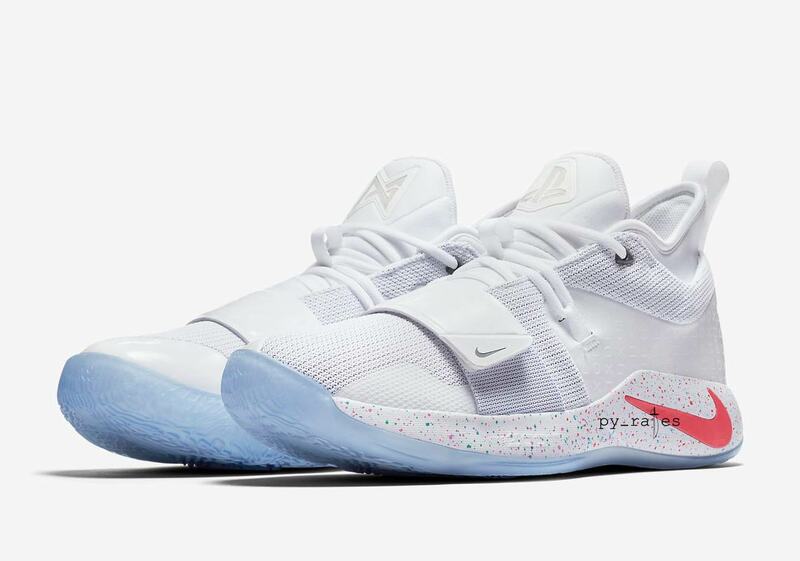 Now George is set to go another round with his beloved gaming system, as images of a new PlayStation Nike PG 2.5 have surfaced. 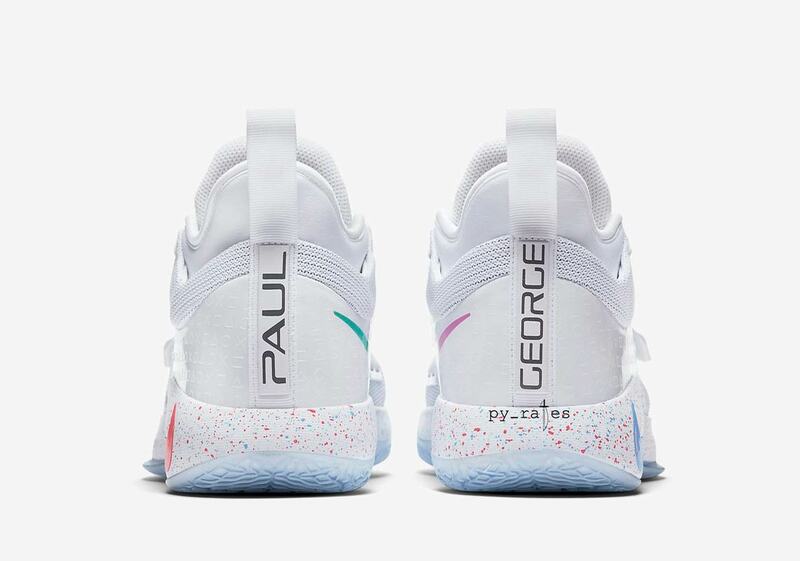 Opting for a look that harkens back to the earliest days of PlayStation, George’s new kicks call upon white as a base color instead of the dark black that’s usually used for Nike’s video game-themed releases. 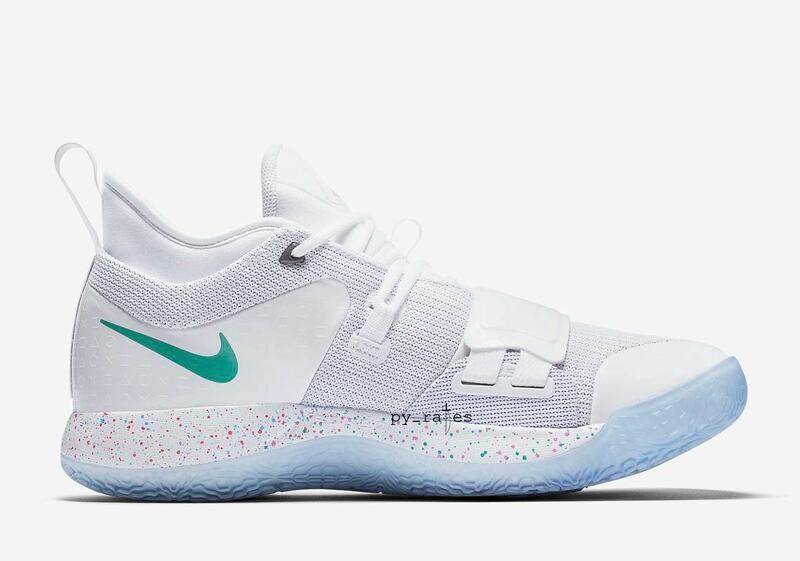 Retro-inspired colors adorn both the heel and midsole swooshes — one light green and one purple for the former, two soft red for the latter — and a speckled midsole/special co-branded insoles round out the colorful detailing. For finishing touches of branding, George’s name is printed on the heel in a black PlayStation-style font — and the left shoe’s tongue graphic is replaced with a PlayStation logo. Get a first look at these game-ready kicks below, and expect them to drop later this fall for $110 USD.